What do you do when you realise you're studying the wrong course? What do you do when you realise you’re studying the wrong course? If you start your first year at university or college and suddenly realise you’ve made a terrible mistake, a million questions go through your head. Should you switch course? Should you drop out? First of all, you need to ensure that the way you’re feeling is purely attributed to your subject choice. You feel that the work you’re doing is not fulfilling and never will be. It may even go as far as impacting your mental health. 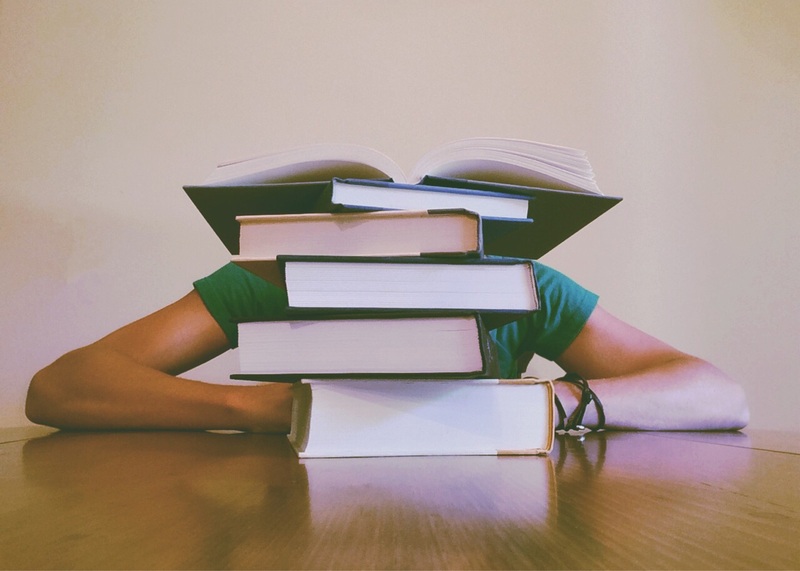 Particularly if you were a strong student at school, it’s a cause for concern when your grades start slipping because you are either struggling with the course content, or it bores you and does not play to your strengths. Samantha Carden is now a qualified Biomedical Scientist working in the NHS, however, she started uni on a primary education course at Strathclyde University, before deciding to change to Applied Biomedical Science at Glasgow Caledonian University. Looking at other courses or potential jobs. 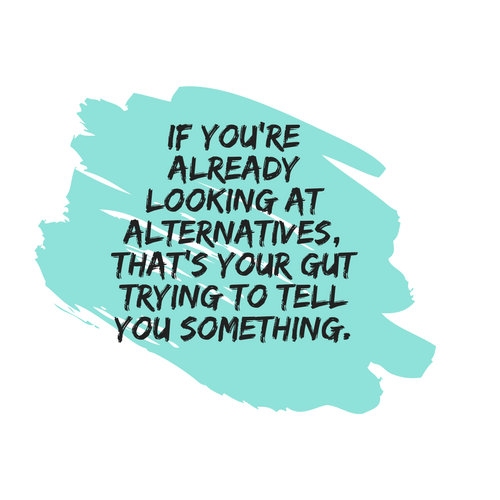 If you’re already looking at alternatives, that’s your gut trying to tell you something. Maybe you know exactly what you’d rather be studying, but parents, teacher and friends have told you otherwise. Is uni your only option? Would college be a more practical route? Maybe you never enjoyed school and now you’re not enjoying uni or college either. 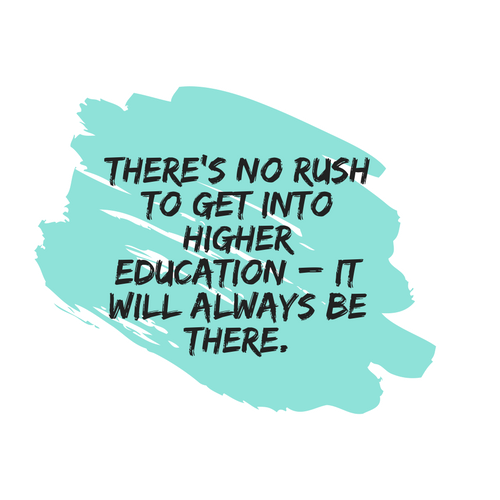 Education just might not be for you – right now or ever. And there is nothing wrong with that. The realest bit of advice you need to hear immediately is that this is not the end of the world. There are solutions, there are options, there is a whole world of possibilities out there. Don’t hold yourself to unrealistic standards – if you are struggling to enjoy your course or do the work, it’s only natural to start reconsidering your options. You won’t be letting anybody down and you won’t be holding yourself back. If you need to switch course or leave uni altogether, all you’re really doing is giving yourself a better chance at happiness. It takes a lot of maturity and self-awareness to turn around and say no to something that you do not find fulfilling. University is a shock to the system. You could just be overwhelmed by the newness of the experience and not the experience itself. It may be an idea to stick it out until Christmas, at least, and make a decision during some festive down-time. Biomedical scientist Samantha Carden says she never enjoyed her primary education course, but gave it a good chanced by sticking it out until the end of first year. Do your research. 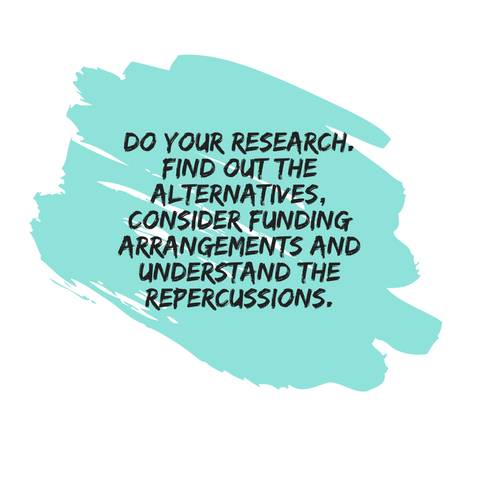 Find out the alternatives, consider funding arrangements and understand the repercussions. You don’t want to make the same mistake twice, or just drop out because you were in another moment of panic. It’s vital that you get the well-versed opinions of those older than you, those who know you very well, and others who don’t know you at all. Can how your situation be resolved any other way? Is it your living environment that’s stressing you out? Could you use some extra support, either academically or personally? Do you need more information regarding the job prospects at the end of your course? Or maybe you just need some more time and space to figure your life out? Whatever it may be, speak to people. Do not try to make this decision alone. Someone else may be able offer you the perfect solution, and it may well be something you would never have thought of alone. Check your university or college website, as well. Switching course or dropping out is far more common than you’d think. Often, there are guides in place such as this one from Glasgow University, or this one from Glasgow Caledonian University. Everyone will tell you how they think you should be living your life, but ultimately you know your strengths and desires better than anyone else. If you’re studying a subject purely to please your parents or impress friends, you’re studying for all the wrong reasons. Equally, if you have a passion for something that won’t go away, take it as a sign and research what jobs those skills, when honed, could get you. Passion is the secret ingredient to true success, so don’t brush off your passions as just hobbies – there could be something truly special there.